Open carry in Texas became effective January 1, 2016. When open carry passed in Texas, not many carry laws changed with the new law. Prior to the passing of open carry in Texas, those with a carry permit had to carry concealed. When open carry passes, they also changed the name of the license. Before open carry in Texas, the license was called a concealed handgun license or (CHL). When open carry in Texas passed, the license name was changed to license to carry or (LTC). It’s the same license with a new name since it now allows a person to open carry or conceal carry. The class requirements stayed the same too. It’s the same class and license, it just allows for both forms of carry now and has a new name. Getting a Texas license to carry is now easier than ever. First you take the class then submit your application online on the Texas DPS website. 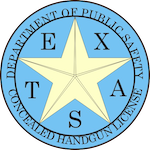 You can now take the Texas license to carry class online. Since Texas approved online classes thousands of people have taken advantage of the online option. The Texas license to carry class is 4 hours long plus the shooting portion. 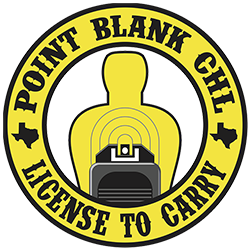 You can take our online license to carry class here and use any local LTC instructor in your area to complete the shooting portion. Open carry in Texas or conceal carry in Texas, it’s up to you. All you have to to is take the class and get your license and you can carry either way.